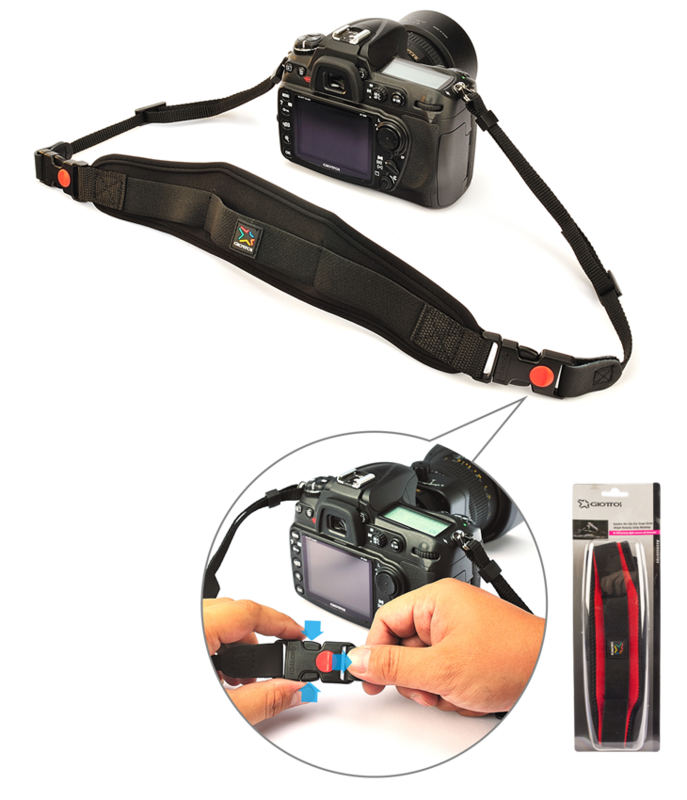 The Giotto’s new super padded adjustable shoulder strap is designed to follow body-contours elastic thickly padded and non-slip. 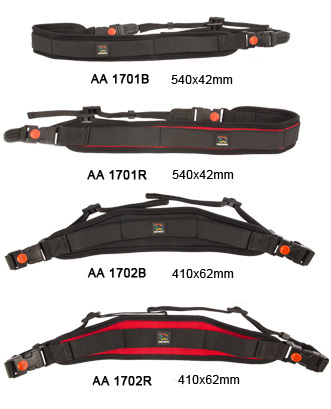 With 3/8" strap and ergonomic design ensures proper load distribution, they are practical, comfortable and stylish. They are made from neoprene, the same material used to protect scuba divers from the harsh sea. The straps are very soft and elastic, the slip proof backing prevents the strap from falling off your shoulder. 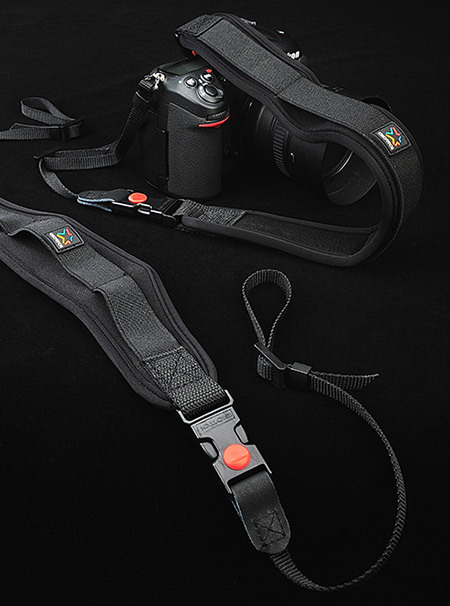 They keep your shoulder extremely comfortable, by absorbing the impact of heavy video, cameras or tripods. Step 1. Push the red button first. Step 2. Push double side lock.